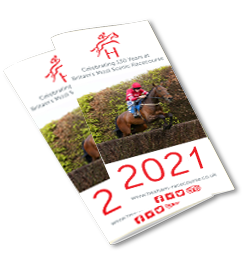 Enjoy 7 exciting races, including the Premier Hunter Chase of the North, The JS Hubbuck 70 Years Supplying Farmers Heart of All England. Enjoy 7 exciting races sponsored by Carpet Gallop. Pavilion Restaurant : Limited availability. Please contact the Racecourse Office on 01434 606881. Proud to visit, live or work in Northumberland? Join us to celebrate our fantastic County and enjoy 7 exciting races. Northumberland Package : £56 per person. Enjoy 7 exciting races at Hexham including the first Juvenile Hurdle of the year as well as the thrills from the Epsom Derby live on TV. Derby Package : £60 per person. A day at Hexham Races… The perfect way to treat your dad for Father’s Day. Enjoy 7 exciting races sponsored by Marie Curie. Enjoy 7 exciting races sponsored by Sky Sports Racing. Enjoy 6 exciting races at Hexham. Enjoy 7 exciting races at Hexham. Enjoy the festive season at Britain’s Most Scenic Racecourse with 7 exciting races.